Fluoride treatment, in its many forms, is still known to be the primary defense against tooth decay. Most toothpastes offer fluoride as an active ingredient, water fluoridation in public tap water benefits more than 200 million Americans, and tens of millions of schoolchildren are helped with fluoride mouth rinse programs offered at school. Fluoride prevents cavities by helping to harden and strengthen the bones and developing teeth in children. For children, teens, and adults with permanent teeth, fluoride treatment further hardens the enamel on teeth for additional protection against decay. 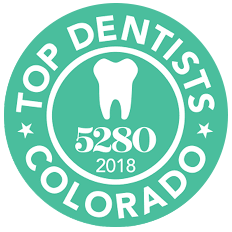 At Barron Family Dental in Thornton, CO, we offer patients of all ages with fluoride treatment, which is painless and quick. We can apply a topical fluoride treatment using a gel or varnish to your teeth or using a gel in a mouth guard. In some cases, fluoride supplement tablets or liquid is more appropriate. Fluoride treatment is safe and takes just a few minutes. Should You Consider Fluoride Treatment in Thornton? Adults and children alike are at risk of tooth decay. However, some patients are more at risk where fluoride treatments may be particularly beneficial. Fluoride treatments are especially important for children as their primary and permanent teeth are forming and emerging. For children under the age of three using a smear of fluoride toothpaste can be sufficient to offer protection. For older children who are at risk or don’t have access to fluoridated water, dental fluoride treatments are used to help protect teeth from cavities and decay. Dry mouth conditions caused by medications, some diseases or patients undergoing radiation treatment of the head and neck. Gum disease or periodontitis patients who are at a higher risk of developing bacteria. Patients who have a history of many cavities, crowns, bridges or braces. Patients with poor oral hygiene, drug or alcohol abuse or eating disorders. 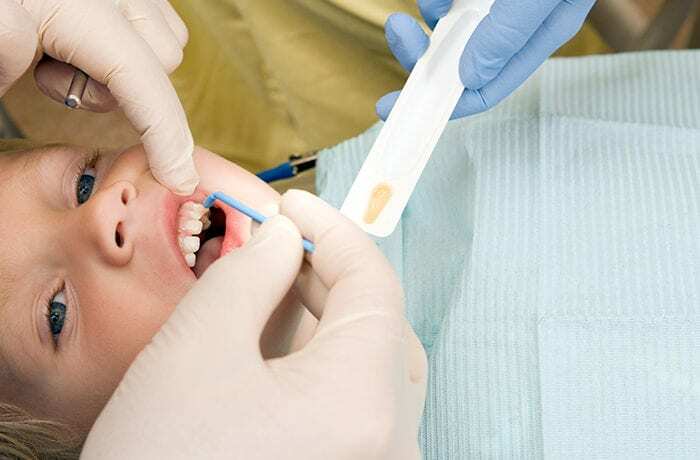 What Fluoride Treatment Precautions are Needed? Fluoride is effective and safe when used correctly and in the prescribed amounts. However, too much fluoride can cause fluorosis or discoloration on the tooth’s enamel. Parents should be cautious to keep any fluoride supplements away from children, monitor children to use only a pea-size amount of fluoride toothpaste, and use care with fluoride toothpaste in children under six years old to ensure they don’t swallow toothpaste. At Barron Family Dental, we provide specific aftercare instructions to ensure patients get the most out of a fluoride treatment. Patients should not eat or drink for one hour after treatment and avoid brushing or flossing the teeth for 4-6 hours. Avoiding hot drinks, alcohol, and oral rinses for at least 4-6 hours allows the fluoride to penetrate the teeth properly. If you’re unsure whether you or your child should have a fluoride treatment, talk to us! We understand the specific situations where it is most beneficial and the benefits that fluoride treatment offers.